Today’s guest blog post features a new resource for those preparing for the presentation of their cases — in court, in chambers, or as part of a negotiation or mediation. It focuses on how to navigate CanLII, a free legal online service. This resource is available via Clicklaw. As part of my 2011-12 study of the experiences of self-represented litigants (SRLs) in Alberta, BC and Ontario, I asked each of the 259 SRLs I interviewed to tell me what was the most useful on-line resource they had used in preparing their case. By far the greatest number singled out CanLII, the Canadian electronic case and legislation database. One told me “CanLII is the best thing for a self represented person ever…” Many talked about the hours they spent poring over cases in CanLII. CanLII received a million hits – in March 2015. How many of those were self-represented litigants, I wonder? But a number also found researching using CanLII difficult, understandable without a familiarity with the structure of law in Canada (and difficult enough even with legal training to harness the enormous amount of information in CanLII effectively). In response, we began to develop the CanLII Primer at the National Self-Represented Litigants Project (NSRLP) last November. We quickly discovered that this task was far bigger and more complex than we had originally anticipated – and that it was important to include a “Law 101” section to enable users with no legal background to maximize the effectiveness of their searches. Released online on March 26 2015, the CanLII Primer has already had a terrific response – from courts, professional bodies, individuals and public education organizations, and from CanLII itself, which is exploring translating the Primer into French. 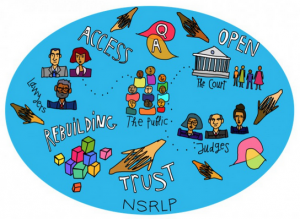 As with all NSRLP resources, the CanLII Primer is open source access and can be downloaded, modified and used in any way by any one (but please credit the NSRLP and help us to continue our work!). A video to accompany the Primer will be available on the NSRLP You Tube channel in the coming months. Please send us any comments and feedback for improvements. We are proud of the Primer, but equally certain that it can be improved. New Fact Sheet on Refusing Health Care: What are my Rights?